The STEEP project aims at creating and developing a web‐based platform as a mechanism intended to facilitate transnational tourism particularly during the low season, and within the different Calypso target groups. It also aims to increase the competitiveness of tourism SME’s by facilitating business opportunities between intermediaries acting on behalf of clients. More specifically, this project aims to develop and implement a platform linking the demand and the supply for accommodation and tourism products particularly (but not exclusively) within four segments, namely youth, families facing difficult social and/or financial circumstances, seniors and people with disabilities. For the supply side (such as accommodation establishments), the platform will enable them to largely promote, on an European level, the available supply to other industry colleagues in Europe, to improve their off‐season occupancy rates and to interact and exchange with similar stakeholders. For the intermediaries (tourism industry players and/or non‐profit organisations), the platform will facilitate an advanced research of and access to existing supply on a European level tailored to their target groups. STEEP is being developed under the specific objectives defined by the call for proposals itself: To create a web platform that will facilitate transnational social tourism in Europe, in line with the Calypso target groups and objectives. To propose an appropriate informatics and communication technology dimension for the web platform. To illustrate how the Calypso platform can become self‐sustaining whilst facilitating the continuation of projects co‐financed by Calypso beyond their project lifespan. To integrate accessibility and sustainability related principles within the web platform environment. To submit a detailed scheme how information concerning school holiday patterns per Member State could be featured within the Calypso web platform. WP 1 Project management and coordination of the consortium: this package includes the coordination of the consortium and the relationships with external partners, the administrative and financial management of the project, the coordination of the steering committee and working groups, and support measures for the portal. WP 2 Development and implementation of the platform: the platform to be built is an information system, a meeting place where stakeholders representing the supply and the demand side such as hotels, holiday villages, travel agencies, NGO’s, local authorities, can seek and exchange information, interact and generate proposals at an attractive price for the target groups through intermediaries since this system is not for the end user. 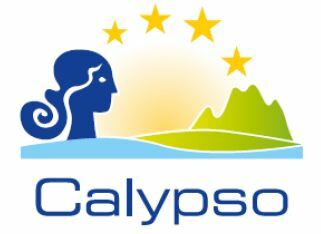 Conditions of use of this platform will also be defined according to an ethical charter based on criteria that meet the requirements of Calypso tourism targets groups. This charter will also take into account the objectives of accessibility, sustainability and quality promoted by the Commission. WP 3 Communication and promotion: the success of the platform will depend on the volume of supply, which itself depends on the number of operators who offer their products and the reputation of this portal with intermediary organisations. This is why an extensive promotional campaign will be conducted and communication tools will be developed through the project. In a long‐term perspective, the partners of the consortium will also work on a development plan aimed at ensuring the sustainability of the platform beyond the official duration of the 15‐month project. They will also investigate how to bring together, within a larger structure, public or private organisations interested in this initiative. Co Funding: (75%) European Commission, Enterprise and Industry Directorate‐General Tourism, CSR, Consumer Goods and International Regulatory Agreements. Please note that the website will be fully functional from Summer 2013.